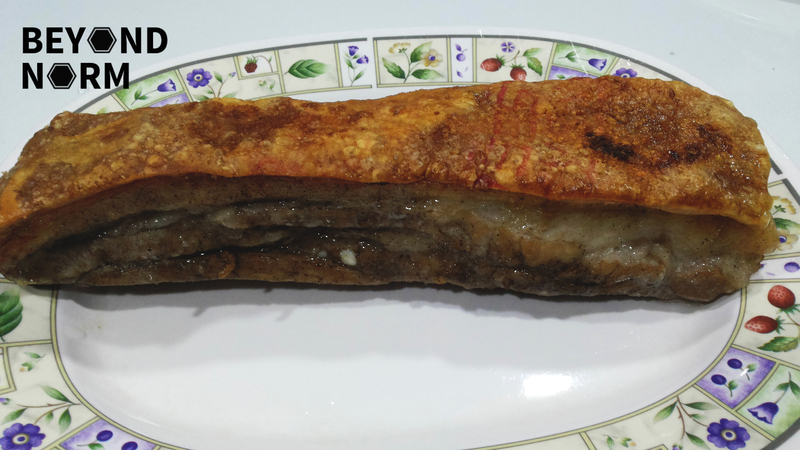 This dish is commonly known as “roasted pork” or “roasted meat” (Chinese: 燒肉, Mandarin: shāoròu, Cantonese: siu yuk). It is worthwhile trying to prepare them yourself as it is delicious and great as a party dish; it will also be a hit for Chinese New Year. Nothing beats a homemade roasted pork. The advantage of making Siu Yuk at home is you can control the level of saltiness. So let’s begin! Crunch! Crunch! I just made this dish yesterday without scoring the skin. 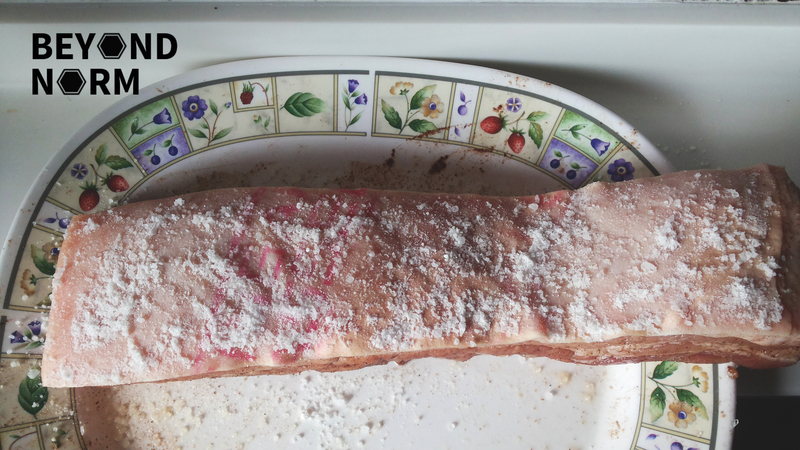 After baking for about 25 minutes in the oven, I just took out the piece of pork belly and started poking on the skin with my fork and then continued roasting. Repeating this process every 10 minutes till the skin is crispy. Use sharp knife (or anything similar) to poke some holes on the rind. The more the better and the denser the better! (I usually ask the butcher to do this hard job!) If you cannot poke the holes on the rind do not fret, you can still do so later in the baking. Combine the baking powder and salt in a small bowl and rub on the skin. Place pork belly on a plate, uncovered, skin side up and let it marinade for a few hours or preferably overnight in the refrigerator. 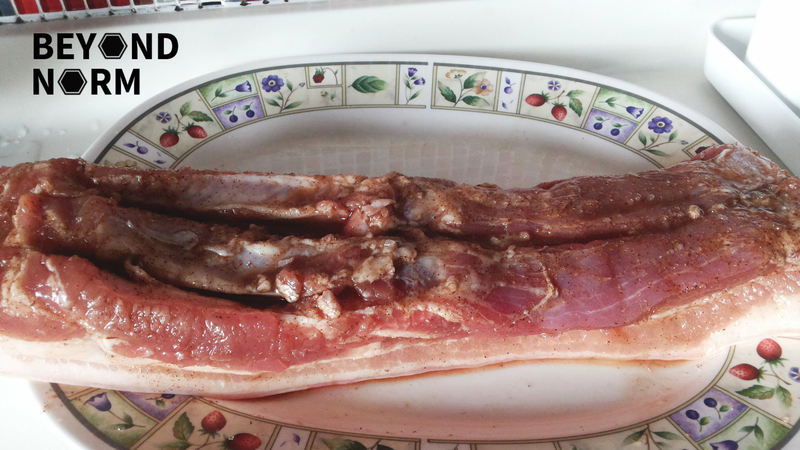 The purpose is to dry the skin thoroughly and also to allow the marinade to seep into the meat. Scrape the dried up baking powder off the skin before baking. 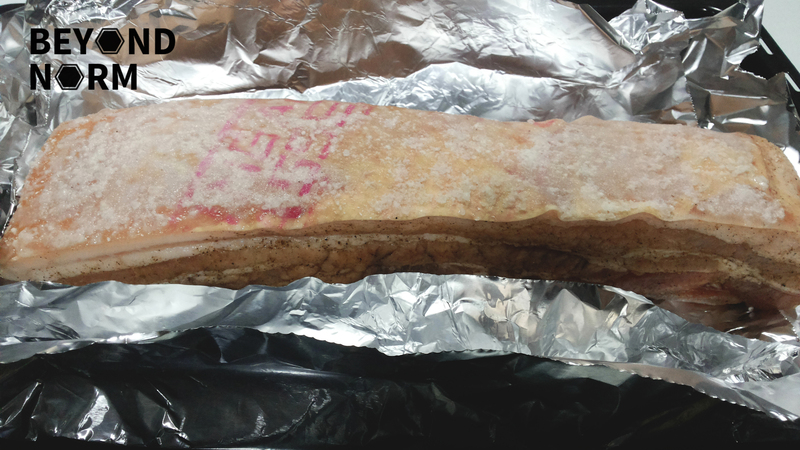 Bake the pork belly in a preheated oven of 200°C for 25 minutes to get the blistering on the skin started. By this time, the skin will be softened and you can see some blistering on the skin. Using a fork (or anything similar), poke as many holes as you can on the portion of the skin which is still soft. You can take out the pork belly every 10 minutes or so and continue to poke as many holes as you can so that the skin will crack nicely. 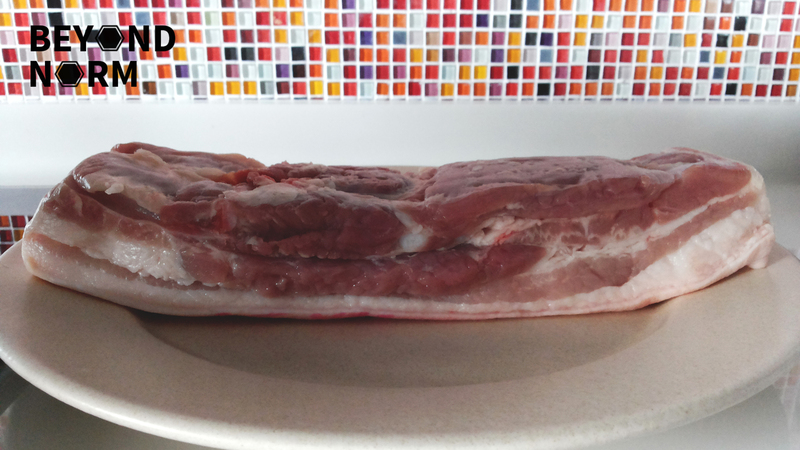 Return pork belly and roast at 200°C (392°F) for another 60 minutes, or until the skin is roasted to crispy perfection. Once it is cooked, please place the cooked pork on a wire rack and allow the meat to rest for about 15 minutes before cutting. Do not cool the pork in the oven otherwise the skin will no longer be crispy but tough. Bear in mind that meat has a mind of its own (Hahaha) and once in a while it might not turn out the way you wanted but most of the time they are perfect… crispy, tender and juicy. Don’t cook this dish when you are hard press for time. The amount of seasoning given above is just a guide. 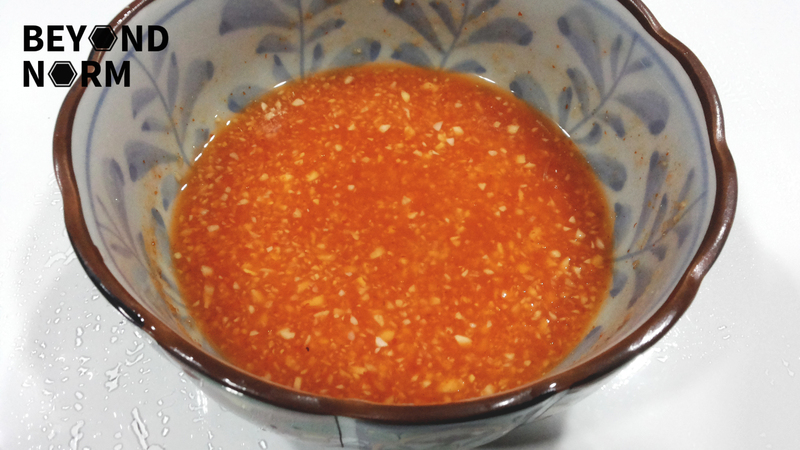 This chilli sauce goes well with steamed chicken or char siew too! I wish I can do this… I really want to try!!! I love roast pork!! Skin turned up real crispy😊 but found the meat part is too dry when I put it overnight in the refrigerator. Will try and wrap up the meat part the next time.